Around this time every year, IBM surveys 3,000 researchers to find out what they think is going to be big in the future. 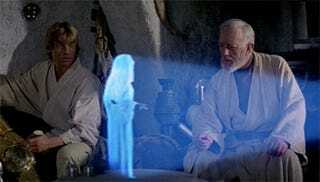 This year, everyone's caught the FaceTime bug, and is looking forward to 3D hologram video calls. The video calls will be projected from cellphones using pico-projector technology, according to the survey. Other "likely" technologies we can look forward to using in just five years' time are batteries powered by air (which will last 10 times' longer); computer programs crunching numbers for real-time traffic information (which makes me think none of those 3,000 people have ever used a sat-nav before); and heat-generation for homes, from computers and data centers. Anyone who's ever fired up a YouTube video or Photoshop to warm their naked thighs will know about that.